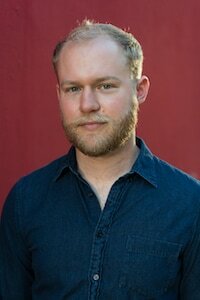 ​​Blake Montgomery is a journalist and fiction writer living in San Francisco. He's covered tech and breaking news for BuzzFeed News and education technology for EdSurge. He was once hit in the head by a Charlottesville neo-Nazi and once arrested for seeking comment. He's a Phi Beta Kappa graduate of Stanford's creative writing program. In the words of Mike Cernovich, he's both "an insufferable BuzzFeed shitlib" and "an essential follow."